A custom C++ installer that decrypts and drops the driver file in the corresponding system directory, creates a Windows autorun service for driver persistence and adds the encrypted in-memory Trojan to the system registry. 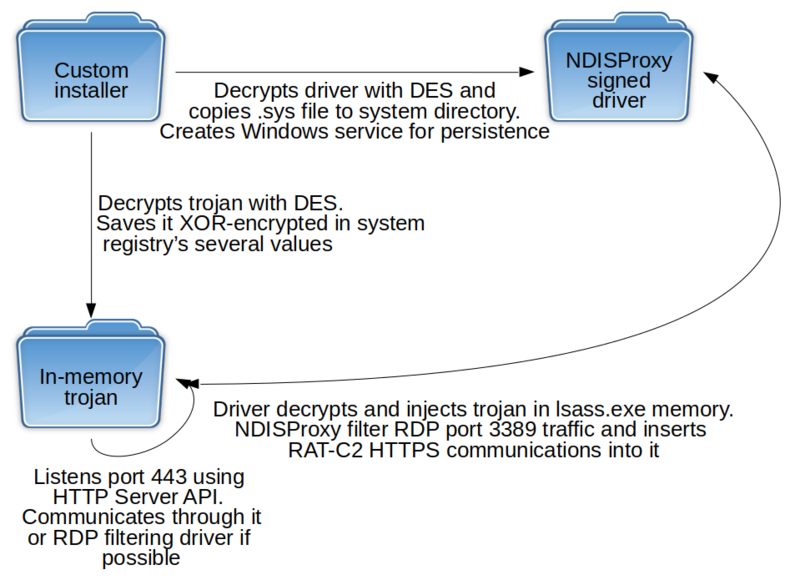 A network filtering driver (NDISProxy) that decrypts and injects the Trojan into memory and filters port 3389 (Remote Desktop Protocol, RDP) traffic in order to insert the Trojan’s C2 communications into it. 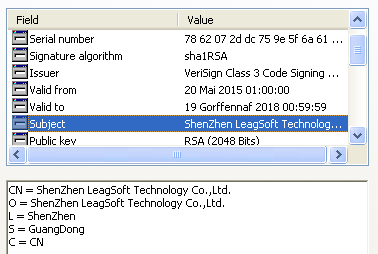 A last-stage C++ Trojan acting as HTTPS server that works together with the driver. 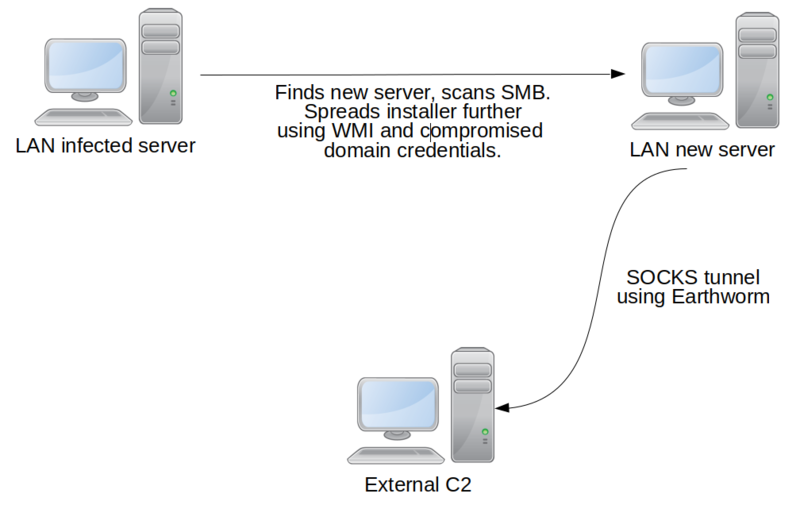 It waits passively for communications from its C2, with two possible communication channels via ports 3389 and 443.